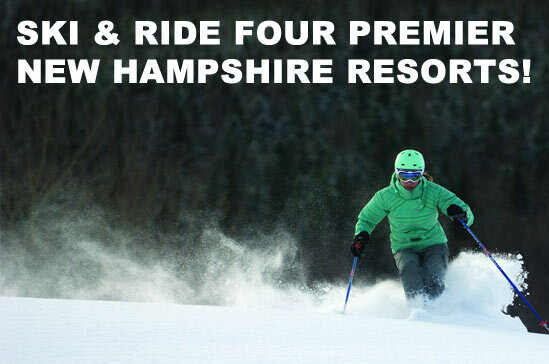 Valid every day of the 2018/19 winter season at Bretton Woods, Cannon, Cranmore and Waterville Valley! 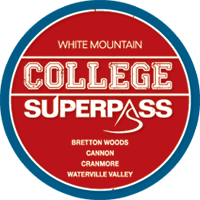 To qualify for the College Superpass - when passes are picked up in Fall 2018, students must present official letter on college letterhead from Registrar, must show current fall schedule, show college ID and must be scheduled for at least 9 credits as of fall 2018. Bring-A-Friend Bonus - Use your pass to get $15 Off* a ticket for a friend. 10% off at select retail outlets. *Bring-A-Friend Bonus valid for $15 off the purchase of (1) one full-priced adult lift ticket. One use for one ticket per pass, per day. Cannot be combined with other offers.